KFC highlights their Chicken Little sandwiches with a two for $3 deal that's available at participating location nationwide through February 24, 2019. 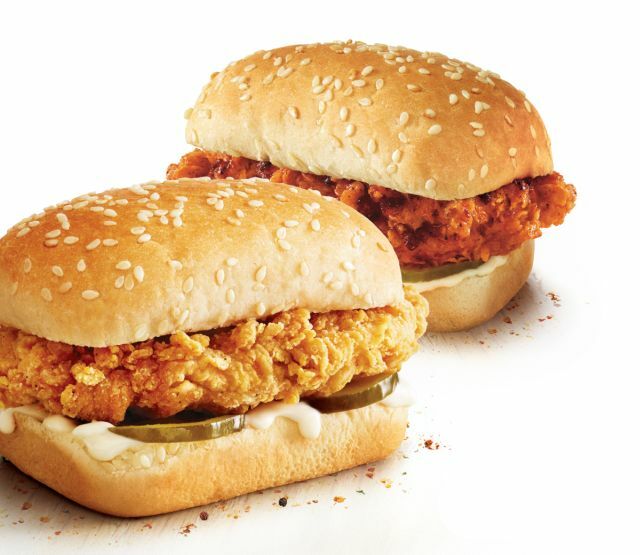 The mini sandwiches feature a crispy-fried chicken tender served with pickles and mayo on a sesame seed bun. They're also available with various flavors including Georgia Gold Honey Mustard BBQ, Smoky Mountain BBQ, and Nashville Hot at no added charge during the promotion. The $3 Chicken Little special follows the $3 Famous Bowl deal they ran this month. Could $3 be the new value sweet spot for KFC?